The Irish Setter line dates back to 1950 and has a proud heritage and over 50 years history of fine craftsmanship. Owned by the Red Wing Shoe Company, Irish Setter Boots became its own brand under the Red Wing umbrella in 1997. Today, Irish setter hunting boots continue to deliver on this heritage of excellence, confidently leading hunters into any terrain - in all sorts of weather conditions and back out again. Modern outdoormans demand a waterproof, scent-free, tall boot that’s as comfortable on the stand as it is during a long stalk. 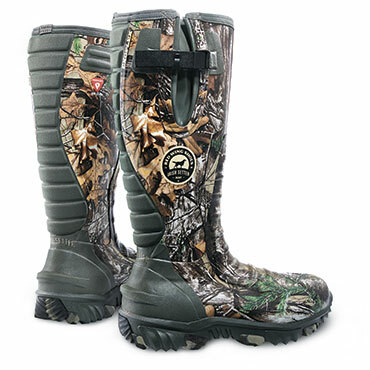 Irish Setter rubber boots revolutionized the category.